I was never a huge Sega fan and opted out of the Dreamcast when it came to market. At the time I felt I had enough game consoles and didn't want to start building another library of games. Having paid a lot for my Saturn and watching it fizzle out, I wasn't too stoked to add another Sega console to the mix. I later realized the errors of my ways and picked up a Sega Dreamcast to add to my growing collection of gaming consoles. The Dreamcast is a 128-bit video game console which was released by Sega in late 1998 as the successor to the Sega Saturn. It was the first entry in the sixth generation of video game consoles, preceding Sony's PlayStation 2, Microsoft's Xbox and the Nintendo GameCube. 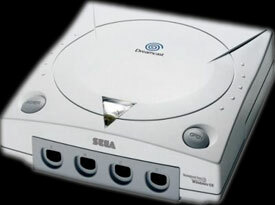 Sega discontinued the Dreamcast in March 2001 and withdrew entirely from the console hardware business, making it the company's final console. Support of the system continued in Europe and Oceania until the end of 2002, while in Japan, consoles were still sold until 2006 and new licensed games continued to be released. According to Bernie Stolar, former President and CEO of Sega of America, the Dreamcast was discontinued because the new chair of Sega wanted the company to focus on software. Sega was still suffering from hardware disasters such as the Mega-CD and the 32X (which were add-ons for the Mega Drive), and the Saturn console was losing the 32-bit war against Sony's PlayStation. In 1997, newly appointed Sega of Japan president Shoichiro Irimajiri, unhappy with the company's internal hardware development division, enlisted the services of Tatsuo Yamamoto from International Business Machines to work on a secret hardware project in the United States. When the head of hardware development at Sega of Japan, Hideki Sato, caught wind of this he was less than happy and made it clear that any technical production should happen within Sega's Japanese Headquarters. Sato instructed his own team to produce a design for a new console. Sato and his group chose the Hitachi SH4 processor architecture and the VideoLogic PowerVR2 graphics processor in the production of their mainboard, versions of which were successively codenamed "White Belt", "Guppy" and "Katana". Yamamoto and his group opted to use 3dfx Voodoo 2 and Voodoo Banshee graphics processors, and after initially trying other RISC processors, settled on the SH4 as well. The codenames given for Yamamoto's project were firstly "Black Belt", followed by "Shark" and lastly "Dural". Initially, Sega decided to use Yamamoto's design and suggested to 3Dfx that they would be using their hardware in the upcoming console, but then opted instead to use the PowerVR hardware of Sato's design. Some reports suggested that the 3dfx processor was more powerful, and it was strongly supported by Sega America President and COO Bernie Stolar, but he lost that argument to Sega's Japanese executives. The choice also puzzled Electronic Arts, a longtime developer for Sega's consoles; EA had invested in 3dfx but their main gripe was that they never knew of VideoLogic before. Sega's decision has also been attributed to 3Dfx leaking details and technical specifications of the then-secret Dreamcast project when declaring their Initial Public Offering in June 1997 a move which readers on Gamespy.com named one of the dumbest mistakes in video game history. In response, 3Dfx filed a $155 million suit in September 1997  against Sega and NEC, claiming that they had misled them into believing that Sega was committed to using 3dfx hardware for the console "while knowing that [they] would ultimately choose to use the NEC chipset", and that Sega also had confidential materials and hardware relating to 3dfx's intellectual property which they had been deprived of. In August 1998, 3Dfx, Sega, and other companies involved in the suit settled, with Sega paying $10.5 million to 3Dfx. With the tainted public image created by the poorly performing Saturn and the recent public lawsuit, Sega's stocks were at an all time low. This lead management to the decision to hide the Sega name from the console as much as possible. The new console was called the Dreamcast and used an orange swirl as its logo, which "symbolizes the universe and the infinite power of human beings". However, in PAL countries the Dreamcast used a blue swirl logo, rather than an orange one, in order to avoid a trademark dispute from Tivola, a German DVD company, who had an orange whirl as part of their logo, in which it replaces the "O". Electronic Arts was one of the notable developers that ending up did not publish games for the Dreamcast. Although EA had long supported Sega's earlier consoles, and this partnership has been attributed to EA's emergence as one of the dominant players, it had suffered losses from the Sega Saturn and its premature discontinuation. During negotiations, EA was irked by Sega's indecision over hardware, including which graphics chipset and whether to include a modem. One EA executive said "there was a push from Sega, which was having cash flow problems, and they couldn't afford to give us [EA] the same kind of license that EA has had over the last five years. So EA basically said, 'You can't succeed without us.' And Sega said, 'Sure we can. We're Sega. There was disagreement between Sega and EA over sports games. EA knew that hardware manufacturers were at risk when launching a new console, and would use such situations to EA's advantage. EA's then-president Larry Probst also noted wide competition to EA's sports franchises and wanted five year exclusive rights for EA to be the only sports brand on Dreamcast. However Sega America's president Bernie Stolar had a strategic plan that included Visual Concepts (a company that Sega purchased for $10 million) as a key element for the Dreamcast. The Dreamcast was released in November 1998 in Japan; in September 1999 in North America (the date 9/9/99 featured heavily in U.S. promotion and the Dreamcast premiere at theaters everywhere);, on October 14, 1999 in Europe and November 30, 1999 in Australia. The tagline used to promote the console in the U.S. was, "It's thinking", and in Europe, "Up to 6 Billion Players." Due to technical problems Sega did not achieve their shipping goals for the console's launch in Japan. This was due to the lack of a graphics chip manufactured by NEC. In the United States alone, a record 300,000 units had been pre-ordered and Sega sold 500,000 consoles in just two weeks (including 225,132 sold on the first 24 hours which became a video game record). In fact, due to brisk sales and hardware shortages, Sega was unable to fulfill all of the advance orders. Sega confirmed that it made US$98.4 million on combined hardware and software sales with Dreamcast with its September 9, 1999 launch. Sega even compared the record figure to the opening day gross of Star Wars Episode I: The Phantom Menace, which made $28.5 million during the first 24 hours in theaters. Chris Gilbert, the senior vice president of sales at Sega of America, said on November 24, 1999: "By hitting the one million units sold landmark, it is clear that the Dreamcast consumer has moved beyond the hard-core gamer and into the mass market." Four days after its launch in the US, Sega stated 372,000 units were sold bringing in US$132 million in sales. Before the launch in the United States, Sega had already taken extra steps in displaying Dreamcast's capabilities in stores nationwide. Much like the PlayStation's launch in North America, the displays of titles such as Soul Calibur, Sonic Adventure, Power Stone, and Hydro Thunder helped Dreamcast succeed in the first year. In 1997, the Sega Saturn was struggling in North America, and Sega of America president Bernie Stolar was pressing Sega's Japanese headquarters to develop a new platform. Two competing teams were tasked with developing the console-a skunkworks group headed by IBM researcher Tatsuo Yamamoto and another team led by Sega hardware engineer Hideki Sato. Sato and his group chose the Hitachi SH4 processor architecture and the VideoLogic PowerVR2 graphics processor for their prototype. Yamamoto and his Skunkworks group also opted for the SH4, but with 3dfx hardware. Initially, Sega decided to use Yamamoto's design and suggested to 3Dfx that they would be using their hardware in the upcoming console, but Sega later opted to use the PowerVR hardware of Sato's design. This was attributed to 3Dfx leaking details and technical specifications of the then-secret Dreamcast project when declaring their Initial Public Offering in June 1997, a move which readers on Gamespy.com named "one of the dumbest mistakes in video game history". Sega's shift in design prompted a lawsuit by 3dfx that was eventually settled. With Sega's machine, no operating system resides in the device until it is loaded in on a disc with each game. The advantage, Sega executives say, is that developers can always ship products that use the version of an operating system with the newest features and performance enhancements. The operating system used by some Dreamcast titles was developed by Microsoft after two years of work with Sega. It was an optimized version of Windows CE supporting DirectX. According to Richard Doherty, president of Envisioneering Group, "Microsoft had initially wanted Windows CE to be Dreamcast's main operating system. It isn't." The Dreamcast's boot-up sequence was also composed by accomplished Japanese musician Ryuichi Sakamoto. On January 31, 2001, Sega announced that they were discontinuing Dreamcast production by March of that year. The last North American release was NHL 2K2, which was released in February 2002. With SEGA announcing no plans to develop a next-generation successor to Dreamcast, this was Sega's last foray into the home console business. Sega Europe continued to support the Dreamcast until mid 2002, with BigBen Interactive publishing the last batch of PAL titles such as Evil Twin: Cyprien's Chronicles, Cannon Spike, Heavy Metal: Geomatrix, Razor Freestyle Scooter and Conflict Zone  During the following years, unreleased games like Propeller Arena, Hellgate, and Half-Life were leaked to the Internet in essentially completed, playable forms. Although production of the Dreamcast ended in 2001, Sega of Japan continued selling refurbished systems and releasing new games until 2007. Many of the games were initially developed for Sega's NAOMI arcade hardware, including Sega's final first-party Dreamcast game, Sonic Team's Puyo Puyo Fever, released on February 24, 2004. The last Dreamcast units were sold through the Sega Direct division of Japan in early 2006. These refurbished units were bundled with Radilgy and a phone card. The last Dreamcast games published by Sega of Japan were the 2007 releases Trigger Heart Exelica and Karous. Three other NAOMI games Exzeal, Illmatic Envelope: Illvelo and Mamonoro were supposed to be ported to the Dreamcast, however Sega abruptly decided to discontinue the production of GD-ROM's. The Dreamcast continues to be supported by homebrew developers. Thousands of freeware and open source applications have been released since the end of production. Even after 2007, new commercial games were released (now on CD-ROM instead of GD-ROM and without official SEGA license), most notably Rush Rush Rally Racing and Last Hope. The Dreamcast introduced numerous features that would be standard to future consoles. All models were shipped with modems allowing users to browse the net and play games online via dedicated server through SegaNet (Dreamarena in Europe), a precursor to services such as Xbox Live. ChuChu Rocket! was Sonic Team's first online multiplayer game. Alien Front Online was the first online console game to feature live in-game voice chat. It also featured such early downloadable content, such as items and missions for games such as Phantasy Star Online and Skies of Arcadia. Jet Set Radio, a Dreamcast original, popularized cel-shaded graphics. Shenmue had introduced a game with vast scope and Seaman was one of the first virtual pet games for a console. In 2009, IGN named the Dreamcast the 8th greatest video game console of all time, out of a field of 25. Independent commercial games such as Feet of Fury, Last Hope and DUX have also been released. On June 10, 2010, at E3 Sega announced that Dreamcast titles would soon be available on Xbox Live Arcade and PlayStation Network. The first two titles to be released are Sonic Adventure and Crazy Taxi, followed by Sega Bass Fishing and Space Channel 5 Part 2. The system's processor is a 200 MHz SH-4 with an on-die 128-bit vector graphics engine, 360 MIPS and 1.4 GFLOPS (single precision), using the vector graphics engine. The graphics hardware is a PowerVR2 CLX2 chipset, capable of 7.0 million polygons/second peak performance and trilinear filtering. Graphics hardware effects include gouraud shading, z-buffering, anti-aliasing, per-pixel translucency sorting (also known as order independent translucency) and bump mapping. The system supports approximately 16.78 million colors (24-bit) color output and displays interlaced or progressive scan video at 640 × 480 video resolution. For sound, the system features a Yamaha AICA Sound Processor with a 32-Bit ARM7 RISC CPU operating at 45 MHz, 64 channel PCM/ADPCM sampler (4:1 compression), XG MIDI support and 128 step DSP. The Dreamcast has 16 MB 64 Bit 100 MHz main RAM, 8 MB 4 × 16-bit 100 MHz video RAM and 2 MB 16-bit 66 MHz sound RAM. [footnotes 1] The hardware supports VQ texture compression at either asymptotically 2 bpp or even 1 bpp. The system reads media using a 12x maximum speed (Constant Angular Velocity) Yamaha GD-ROM Drive. The Dreamcast controller has two dock connectors for use with multiple accessories, like the VMU. One of the most notable accessories for the Dreamcast was the VGA adapter, allowing Dreamcast games to be played on computer displays or High-definition television sets in 480p (progressive scan) In addition, other accessories included a vibrating jump pak and a VMU accessory which was a memory card with a small screen that provided a variety of functions for various games. Also made available for specific games were the arcade stick and light gun controllers. In most regions, the Dreamcast included a removable modem. The original Asia/Japan model and all PAL models had a transfer rate of 33.6 kbit/s, while consoles sold in Japan and the US after September 9, 1999 featured a 56 kbit/s modem. Brazilian models manufactured under license by Tec Toy did not include a modem, which was available separately. The regular modem could be replaced with a broadband adapter that was sold separately. A special link cable was produced allowing the Dreamcast to interact with the Neo Geo Pocket Color, but the Neo Geo Pocket Color was unsuccessful in western regions. [clarification needed] In addition, very few games took advantage of this feature. As of November 2007, the Dreamcast has 688 official games available in its library, and unofficial, independent games continue to be released by certain companies. Games were sold in jewel cases. In Europe, the jewel cases were twice as thick as their North American counterparts, possibly to allow more space for thick, multilingual instruction manuals. Unlike US jewel cases usually featuring one door, European cases had two doors and could store two disks. Among the official games are online games that could be played over the Internet. The online servers were run by SegaNet, Dreamarena, and GameSpy networks. Online game support was particularly popular in Japan, with releases of network compatible games such as Tech Romancer and Project Justice. Web browsers were developed by independent companies such as Planetweb to allow access to web sites and included features like Java, uploads, movies, and mouse support. Dreamarena came with games such as Sonic Adventure and ChuChu Rocket!. There are six games that can still be played online. Quake III Arena and Maximum Pool are still accessible via various servers. 4x4 Evolution and Starlancer are still online through Gamespy. SEGA Swirl can be also be played online with its play by e-mail game. Phantasy Star Online has private servers. Due to its short production span, only a few official models were released. The primary models released in 1999 featured a grey tint. The later model disc drives added more protection against piracy. In PAL Regions, the Dreamcast logo was blue so as to avoid a trademark dispute with German video game/DVD publisher Tivola, who already used a red swirl as their company logo. Some special Dreamcast models were released in certain regions. In North America, a limited edition black Dreamcast was released with a Sega Sports logo below the Dreamcast logo on the lid with matching Sega Sports-branded black controllers. Electronics Boutique offered a blue Dreamcast through its website. There were many Japan-only models made, including a Sakura Taisen version. A Hello Kitty version was also released in 2000, which, due to its limited production, has become an extremely rare collector's piece. The package contains a keyboard, controller, VMU, mouse, and a Hello Kitty trivia game. Two limited edition Dreamcast models based on Capcom's Resident Evil Code: Veronica game were also released, one a clear pink "Claire Redfield" model and VMU, and the other a clear dark blue model and VMU; both included a copy of the game. The R7 model ("Regulation#7", referring to the regulation seven in the Japanese penal code pertaining to businesses affecting public morals) consisted of a special refurbished Dreamcast unit that was originally used as a network console in Japanese pachinko parlors, in a newly designed black case. The final Dreamcast models were released in gold.